Shawn Mendes has revealed that he wouldn't mind having a public relationship BUT he has a certain type of girl in mind. When you've got countless hits under your belt, a gleaming set of pearly whites and a voice that can melt the ladies like hot butter it doesn't come as a big surprise that Shawn is looking for love. The 'Stitches' superstar was quizzed recently on whether he'd have a public relationship (perhaps with another artist) to which he replied, in classic sweet Shawn style, "Yeah I would definitely have a public relationship, why not? It wouldn't bother me. As long as the other person is happy, then so am I." WATCH: Shawn Mendes Clears Up The Camila Rumours... What He Says WILL Shock You! However here is the catch ladies, Mr. Mendes went on to say, "Well to be honest, I'd like a brunette dancer, but now I've just said that, I'm worried they'll all come after me and the blondes will be annoyed!" 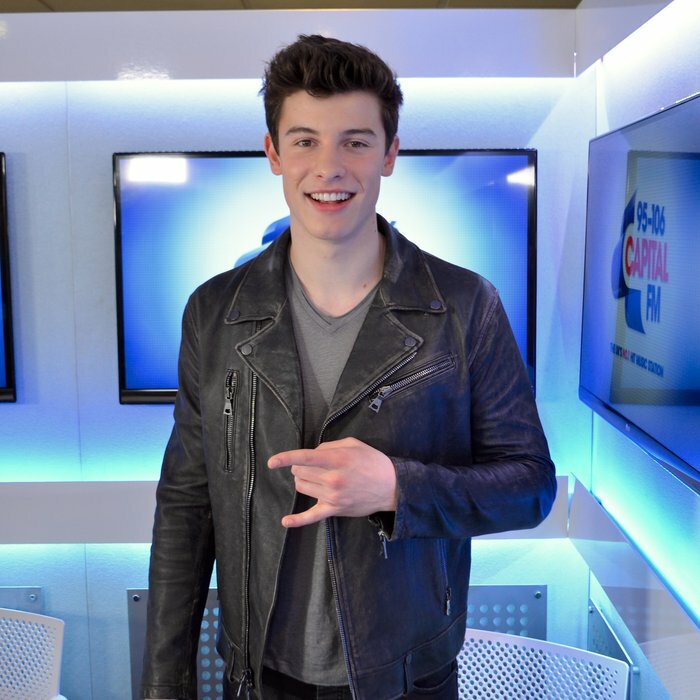 WATCH: Shawn Mendes Plays 'To Bae Or Not To Bae' - Will He Pick 5H's Camila Cabello?! Shawn recently told the Capital London Breakfast show how he has a HUGE crush on Mean Girls star Rachel McAdams...not exactly a brunette dancer but you can't blame him can you!